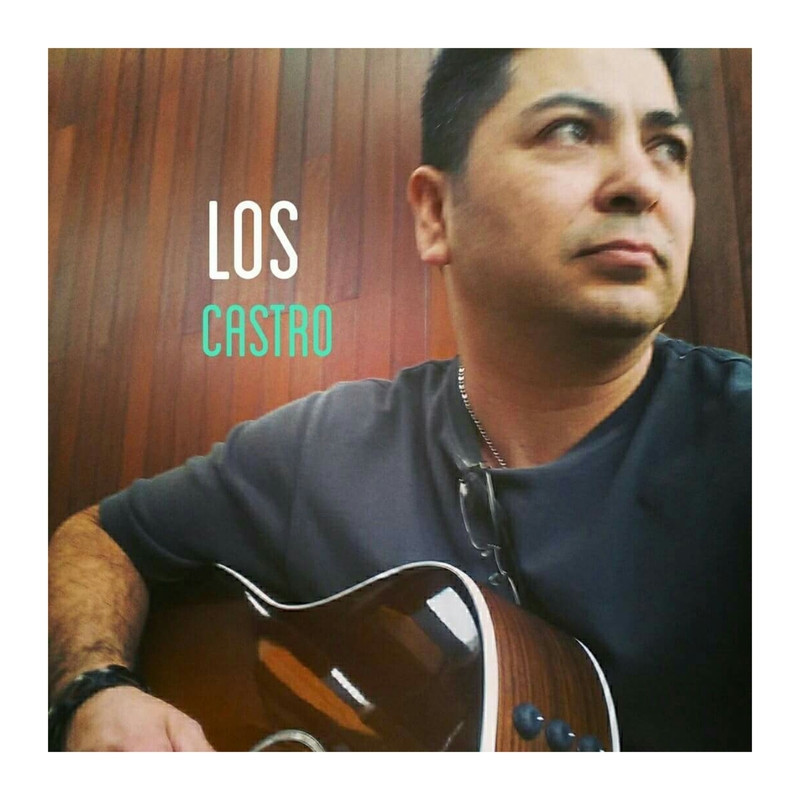 As a true product of the 60’s, everyone pretty much expected Carlos “Los” Castro to grow up be a musician but, life threw some unexpected twists. He was born into a huge family of angelic Oldies/Soul voices. (such as his mother’s) His uncles’ rampant substance abuse scared his parents from allowing him to play music. But after hearing Journey on the radio with Neal Schon wailing on guitar and Steve Perry’s golden voice cutting through, he determined to play guitar even if he had to hide to do it. Los logged in countless hours of practice during those “shredder 80’s. Although mainly self taught, he is quick to credit the many seasoned pros who mentored him as they passed through his sleepy hometown, braving the Central California heat to tour the blues, R&B, party, Mexican regional, and country circuits. They recognized his talents enough to urge him, give him pointers, and even share the stage with him. They kindly rallied to nurture his hunger for ALL good music. This would later bring an uncanny complexity and maturity to his voice and guitar playing as he bided his time. But, then came the obligations of marriage and children, and he put music on the backburner. He continued to study music for a future time. For this, he appreciates his grandfather’s direction, which also made him aware of his cultural roots. After suffering a painful divorce and the devastating loss of family, friends, and career, he decided to travel. During that cathartic period, the kindness of strangers rekindled his hope in humanity. And his love for poetry. And when nothing else made sense, music became therapy. He has since relocated, found new love, and is slowly mending family ties. And here we are, there is a story to tell. One of love and loss. And redemption. In order to share his cautionary tale, he is now assuming a challenging new role for him. The one of singer-songwriter. He explains why, “I now need to merge my two worlds, and it’s a tall order because I’ve always been either a lead singer OR lead guitarist. But never both. I think I left people expecting a lot. This is humbling and vulnerable.I now feel an obligation to make something that raises the question of what interests you, intrigues you, charms you, and takes you someplace…calling for a need for space, a desire for the visual or pictorial, it needs to suggest an emotion or a mood. A state of mind. And if you will, a fantasy. But not as a mental exercise, because music is feeling. It’s from the heart. I have a story to tell lyrically and musically. And I want to move you from the mundane to the fantastic!” Los impressively manages to do just that as he evokes the elegant romanticism of his Latin heritage and the energetic optimism of his youth. He weaves sonic tapestries around soaring passionate lyrics. His intense nature has made up for lost time by co-founding Acoustic Anything in 2008, the power trio Los & Found in 2013, and as half of the duo Ready with Chris Casale in 2014. He is honored to have worked with these fabulous musicians, and is now embarking on a solo path by request of his loyal friends & fans who have expressed a desire to hear his more artistic vision. That vision spans and cross pollinates the vocal and instrumental beauty of the Pan American landscape with style, and virtuosity.